An empowering educator is a visionary, has great ideas for leading us into the future of educational ministries, and has the ability to influence change within systems. Throughout her career, Stephanie Fritz has been and continues to be an empowering educator, continually seeking new and innovative ways to encourage faith formation in the local church, ecumenical groups, within the Presbytery of Denver, through APCE, and in the PCUSA. Before beginning her work in Christian education in 2005, Stephanie managed large childcare centers. Her training and experience in early childhood education became the impetus for her to create and launch two highly successful nonprofit preschools, and eventually led to a call to serve as a Christian educator. 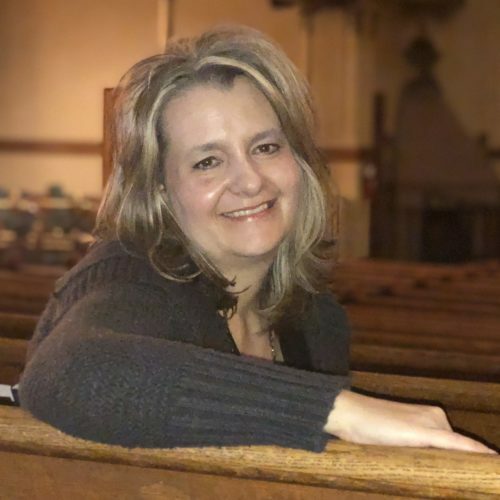 Stephanie has served several churches in the Denver area, as well as a resource center, and she currently serves as the Director of Mission and Faith Formation for Central Presbyterian Church in downtown Denver. Stephanie’s educational background is in Early Childhood Education and Organizational Management with an emphasis in Christian Leadership and her leadership is clearly recognized by many throughout APCE and the PC(USA). She has served as a POINT representative and as the Rocky Mountain Region representative with APCE. She served seven years as a member of the APCE Annual Event Team, five as Moderator. She is currently serving as the Moderator of the General Assembly Special Committee to Study the Reformed Perspective of Christian Education in the 21st Century. Stephanie also serves on a work group for PYWA and on the Program Committee for Highlands Presbyterian Camp and Retreat Center. Stephanie and her husband Bryan are new empty nesters and live happily in their 5th wheel RV in a park west of Denver. They travel when they can and have often take the RV on mission trips and retreats! Their children, Rachel, Naomi and Hunter are all in college around the country in Alaska, Florida and Colorado. Stephanie seeks to empower educators to be more engaged, more creative, more imaginative, more effective in ministry and to empower the Church in all its forms to be more attentive to and aware of the tremendous gift Christian educators are to the church. Stephanie empowers all of us to be better educators, to be better advocates for ourselves and others, and to be better Christians.